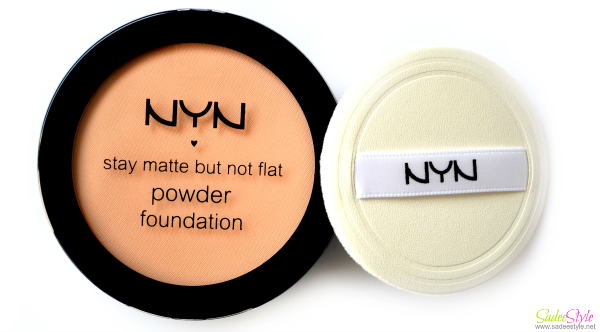 Well, Nyx cosmetics has always been around, but never heard of Nyn Cosmetics. 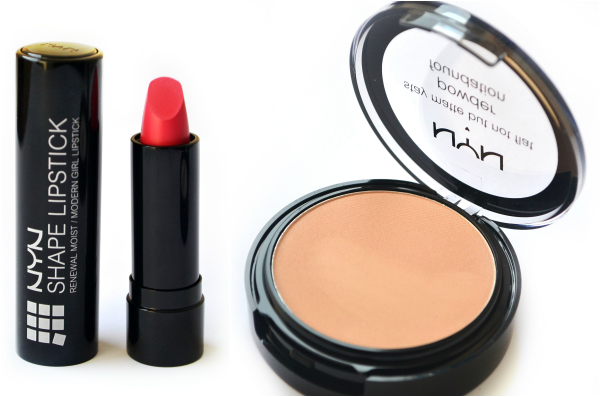 I saw Nyn cosmetic range at Romwe it reminds me of nyx cosmetics at first glance. It actually a dupe of nyx. Quality appealed to me and price was affordable so I have made an order with two products to assure if quality is good so I can order more products from the range. There were many products and drooling range to choose from. 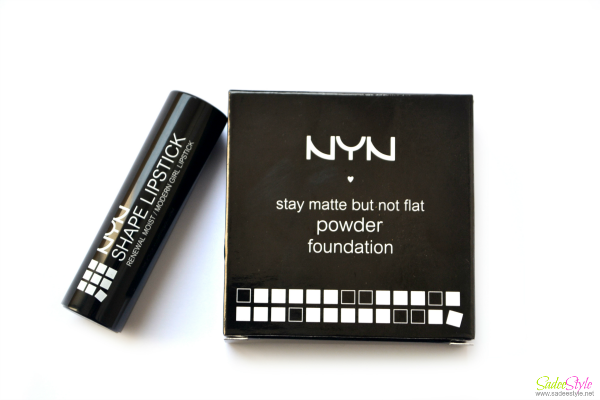 It was hardest part two choose just two products as I was out of credit so after looking around I finally made an order with Nyn stay matte but not flat powder along Nyn shape lipstick in pink. Does it worth buying. Read with me to reveal! It was available in all three shades to choose from. Since I have a light skin tone. I have picked the lighter one, which is called shade no 3, but its still a little darker for my skin. I was hoping it to give a pinkish coverage, but like Sweet touch face powder which I'm currently using it also gives tan finish which I really don't like and impressed with. I usually ignore and my advice is to not order face powders, concealers or foundations online because on screen and in professional pictures colour looks different from the reality and we end up wasting money with buying wrong shade. 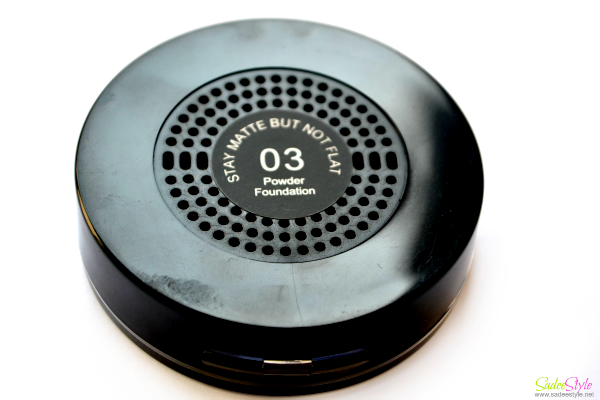 I have ordered many face powders until now still not successful to get the right shade according to my skintone. However, formula and quality of the product is amazing. It feels and look very professional and compact is really big with sponge and mirror inside which make it travel friendly. I have no complain with its quality and formula. The only thing bothered me is I'm failed to get the right shade according to my skin tone so I'm giving it away in blog sale. 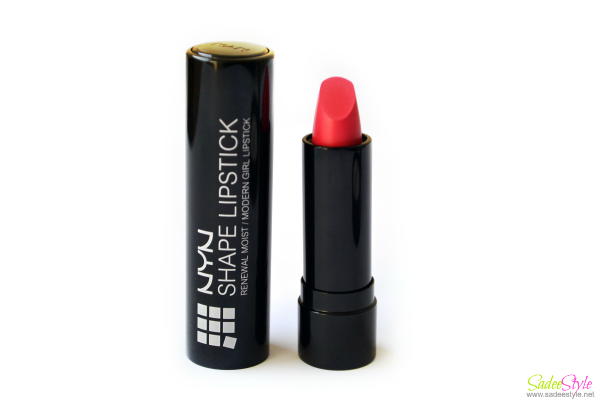 Shape Lipstick by NYN CosmeticsAfter surfing at least for half an hour on romwe website I finally discovered this pretty shade of pink, if you are a regular reader of sadeestyle blog you must have known that I'm a biggest fan of every shade of pink. From the start of the season I was looking something rosey pink to brighten up this winter. 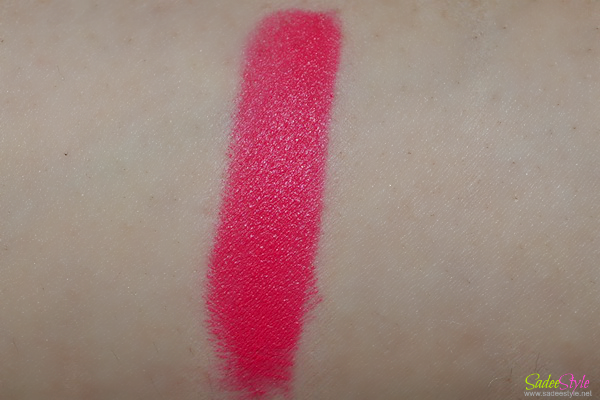 However, I have many pink lipstick shades in my stash, but this shade appealed to me more so I have made an order with this shade. It arrived with unique tube and push in button and colour is ultra pretty. I was impressed at first sight and amazingly it turned great on me, colour suited me perfect and formula is super creamy, smooth and soft. I love how pigmented formula they used to made this lipstick. I'm very impressed and wanted to order more lipstick shades, but unfortunately romwe have removed NYN cosmetics range from its site and I'm unable to find how can I order this brand because its tuned great on me and I could not find it any more. It has become a highly recommended brand by me. Ultra sleek and professional packaging, affordable price and great coverage. I am having facepowder. Loving its sponge. Formula / application amazing. It works great and a dupe of NYX cosmetics.